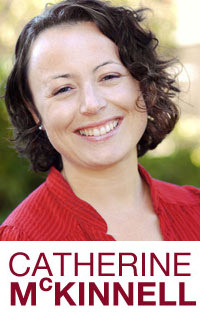 Catherine spoke in Parliament in the ongoing debate following the Chancellor’s Budget 2018 statement, covering the impact of Brexit on the North East, Universal Credit, funding cuts to local authorities and the discrimination facing 1950s-born women. You can read a full copy of her speech below. A full transcript of the debate on Monday can be found here. 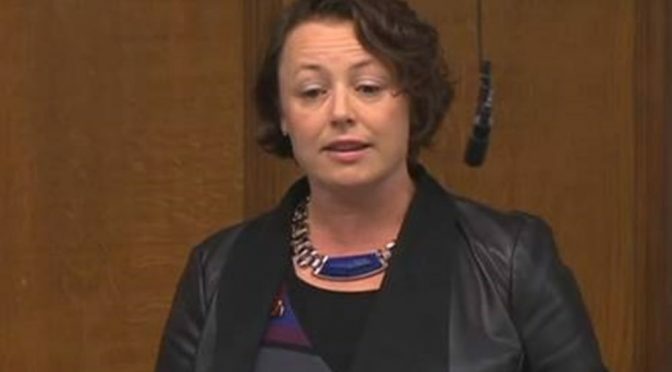 Catherine McKinnell: I listened carefully to the Chancellor’s statement today and his caveating of his Budget commitments, which he said were based on our reaching a good Brexit deal, and I listened to the Prime Minister’s spokesperson’s attempt afterwards to row back on that assertion, and while none of that is very clear, what is clear is that this is a Budget from a Chancellor who has his head firmly in the sand. The Chancellor talked about giving himself some fiscal headroom – or a rainy day fund, or a Brexit disaster fund, as we might want to call it – given the level of uncertainty we are facing. At least he is not claiming any Brexit dividend. He has been careful never to claim that – he knows it cannot be quantified because it does not exist – but he does talk about a deal dividend, and not just a deal dividend but a double deal dividend. What a load of nonsense. He talks about forestalled investment. This is investment that we would have had if we had not plunged into two years of Brexit uncertainty and which we might then get, and we call it a dividend. He says we might not need to call upon the Brexit disaster fund, and therefore that becomes a dividend. What a load of nonsense! We feel it more than most in the North East, with 60% of our goods going to the EU. This stuff really matters to our region. The North East England Chamber of Commerce said today that it welcomed a number of announcements in the Budget, but that “the major omission was support for exporters in the context of Brexit”. I also want to highlight the devastating impact of Universal Credit in my constituency, Newcastle, being a pilot area. Last year, the West End Food Bank’s parcels fed 21,000 residents, with half of all food parcels distributed going to households with children; rent arrears in social housing have doubled; private landlords will not accept universal credit claimants; the City Council has spent £750,000 supporting vulnerable claimants; and food and fuel poverty have risen since roll-out. The Government need to start listening to Members from roll-out areas – not just Opposition Members but those from their own Benches – who continue to say that extra transition funding is not enough. We need to deal with the fundamental issues in a system that is embedding debt into people’s lives. Slowing it down and throwing more money at the roll-out of a failing system is just prolonging the pain. Added to this are the pressures facing our public services, the huge, unsustainable funding cuts to local authorities, police and social care, and the tangible impacts on the local people who rely on them. My constituency postbag is full of examples of such cases, not to mention the thousands of 1950s-born women still fighting the shambolic and unfair changes to their pension arrangements. They want justice, and they are not going anywhere, as they demonstrated very clearly today. The Chancellor has claimed that austerity is coming to an end. I ask: when, and for whom? The Government are woefully under-delivering on Brexit. Our public services are on their knees, and our economy is bracing itself for some seriously turbulent times ahead. This is a Budget from a Chancellor whose head is in the sand. I do not see how any of the announcements made today can go anywhere near meeting the fundamental challenges that we are facing as a country, but one thing I do know is that it is my constituents who will pay the price.